Given that the secret of Fatima, according to Our Lady’s wish, was to be made known at the death of Sister Lucy or in 1960, whichever came first, the masonic hierarchy in the Vatican, disposed towards communism, became very nervous at the death of Lucy, as the secret was contrary to the modernism and communism spread by that group: it required the Pope to consecrate Russia to the Immaculate heart of Mary, together with all the Bishops of the world to put an end to these evils. They then plotted to hide the death of Sister Lucy, substituting her with another religious. One must exonerate Pope Pius XII of the fraud of substituting the true Lucy, who died in 1949, with a false “Lucy”. He was a great believer in the apparitions of Fatima, to the point that he obeyed the mandate of the Virgin and consecrated Russia to the Immaculate heart of Mary on the 7th of July 1952, even if he didn’t do it with all the bishops of the world. No. All the indicators point to a high level person in the Vatican, with great power to influence the Carmel superiors behind the Pope’s back and for motives of a personal political agenda: that person was the substitute of the Secretariat of State, Giovanni Battista Montini, the future Paul VI, initiated in the Lodge of Paris in 1935, who had made an agreement with the Italian communist Palmiro Togliatti. Besides, it was Montini who arranged the return of Sister Lucy to Portugal and her forced entry into the enclosed convent of the Carmel at Coimbra to silence her. 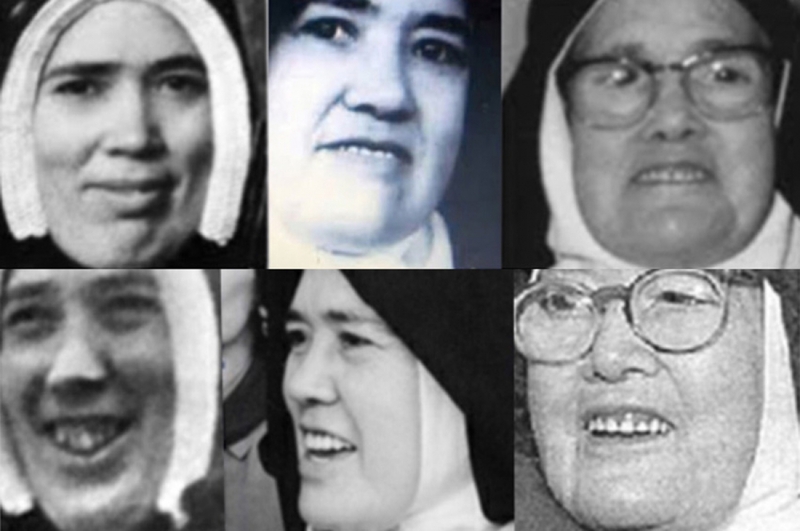 Paradoxically, when the imposter “Lucy” died 65 years later, on the 13th of February 2005, in the official listing of deceased nuns (Moniales Defunctae of the order) of the Discalced Carmelites, they put Sister “Lucía Dos Santos” in box 265. For more than a year, the real date of her death, the 31st of May 1949, appeared there without being noticed. It was later corrected. Besides, until the year 2015, the date of her profession appeared as the 3rd of October 1938, which simply couldn’t have happened as Lucy didn’t enter the Carmelite Order until 1948. Why did the obituary not give the date of her profession as the 31st of May 1949 which was done for a long time in official biographies? For many reasons: Firstly, because the Carmelite rule establishes that the profession is made after two years of Novitiate, which Lucy hadn’t completed and secondly, because that was the day she died. She professed in articulo mortis so as to enjoy the spiritual benefits of the Order. The imposter sister “Lucy” appeared for the first time eight years after the true Sister Lucy had died. It was in an interview with Father Agustín Fuentes in 1957 concerning the cause for beatification of Francisco and Jacinta. The Vatican declared that the interview had been “fraudulent”; they silenced father Fuentes and dropped him from the cause of beatification. Montini was furious that father Fuentes had spoken to the imposter Lucy and ordered the Bishop of Coimbra to say that the interview never happened and that the priest had made it all up. Besides, he was dropped from the cause of beatification, the uncomfortable imposter was silenced and never again gave an interview to anybody. For his part, Montini planned a new change to substitute the imposter “Lucy” for a second imposter, another more docile nun who would serve as a puppet for whatever ideas would occur to those in Rome. The difference between the three Lucys is patent in all the features (eyes, cheeks, chin, and nose), but especially the teeth: the first one has crooked and uneven teeth, the teeth of the second one are big and perfect, the third one has small teeth with voluminous gums. Pope John Paul II visited the second imposter “Lucy” in Fatima, Portugal in 1982, 1991 and 1995. There was no commentary on these visits by either of them. Evidently the Pope was unaware of the fraud perpetrated by Montini four decades previously by changing persons. This was a discreet masonic secret. On the 13th of May 2000, also in Fatima, John Paul II beatified Jacinta and Francisco Marto while the second imposter “Lucy” was present. John Paul II wished to reveal the Secret of Fatima on that date and he instructed the Congregation for the Doctrine of the Faith, headed by Cardinal Joseph Ratzinger, to make the solemn announcement. The date came and the Secret of Fatima wasn’t made known. There was a strange confrontation and it was announced that it would be revealed a month and a half later. Finally, the Secret was published on the 26th of June 2000, and strangely it was the Secretary of State, Cardinal Angelo Sodano, who took charge of revealing it, and not Cardinal Ratzinger, as the Pope had established. This act was a grotesque lie. Instead of revealing the four parts of the Secret, Sodano only revealed the first three parts, and besides, he gave a false interpretation to the third part, the second vision that the children had, that of a Bishop dressed in white, fleeing from a city in ruins, saying that this referred to an historical fact: the attempt on his life that John Paul II suffered in St. Peter’s square in 1981. 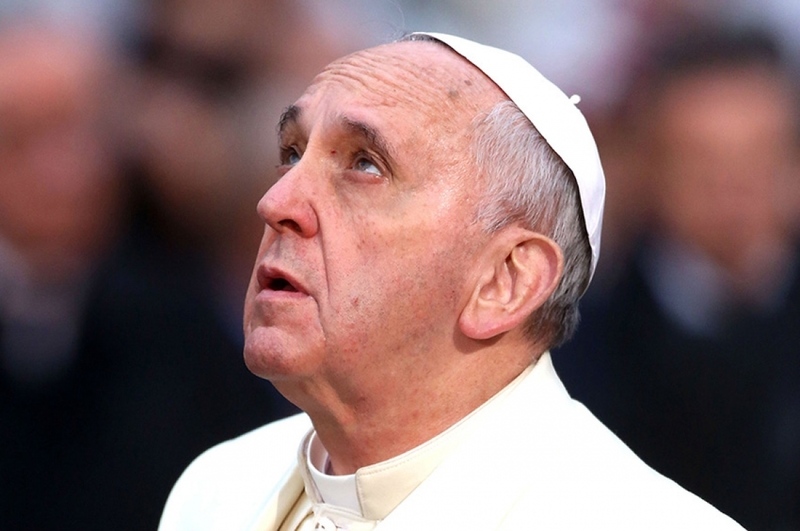 He absolutely omitted all commentary about the consecration of Russia, the need for reparation, the apostasy coming from the top of the church or the presence of a false Pope, which constitutes the fourth part of the secret. 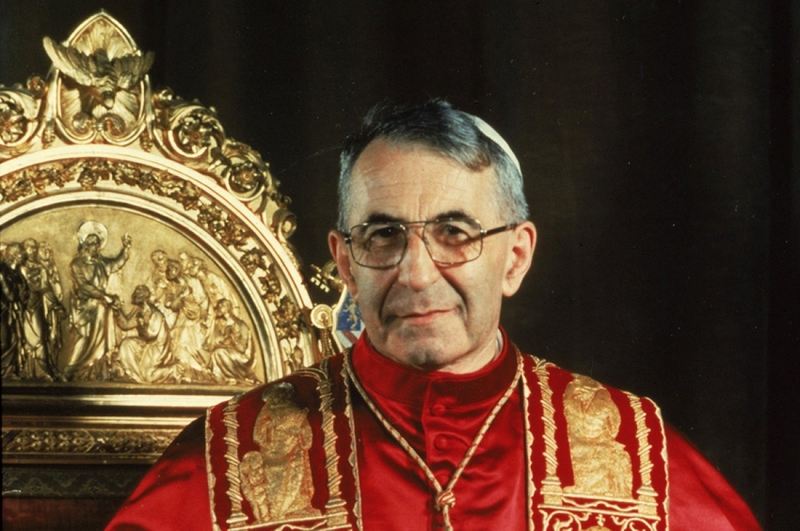 The explanation Sodano gave is simply absurd: in the attempt in 1981, Rome wasn’t in ruins, the Pope John Paul II did not leave the city fleeing, there were no corpses in the streets and Karol Wojtyla was not killed afterwards. In other words there is no concordance between this and the second vision the children had. On the other hand, if it really referred to this historic event of 1981, then why wait twenty years to make it known? No. The third and fourth part of the Secret refer to the apostasy in the church and the punishment by God of Rome for its infidelity. Shortly after Sodano’s publication, Cardinal Ratzinger confided to father Dollinger that there still was a part of the Secret of Fatima that still hadn’t been published (the fourth part, corresponding to a third vision). In the year 2001 they used the second imposter “Lucy” to validate in public that what Sodano had said was the whole Secret and that the interpretation of the second vision (the third part of the secret) was correct. This was simply fraud upon fraud, making the imposter lie in public. In the year 2003, while still Cardinal, Joseph Ratzinger admitted publicly, in an interview with the EWTN channel of Mother Angelica, that the interpretation of the Secret could be different from that offered in June 2000 by Sodano, and that it could also refer to a future event in the church. And something more revealing still: Ratzinger confessed to Monsignor Williamson that the then Secretary of State forced him to accept the false interpretation of the Secret: “Sodano twisted my arm”. In the year 2010, Pope Benedict XVI wished to correct Sodano’s fraud. He travelled to Fatima in the month of May to commemorate the apparitions. On that occasion he declared that the Secret “could rather have a future meaning”, totally contradicting Sodano’s version which maintains that the meaning is about a past event. On the other hand, the apparition of the fourth part of the Secret of Fatima, also in 2010, which they had managed to hide for fifty years, is significant. Without any doubt, it was with the consent of Benedict XVI that the second document, a single page that refers to the apostasy, was photographed in the Pontifical apartments and transmitted to Tradition in Action. Now I am going to reveal the third part of the secret: this part is the apostasy in the Church! Our lady showed us an individual whom I describe as the 'Holy Father' in front of a multitude that was cheering him. But there was a difference with a true Holy Father, his devilish stare, this one had evil eyes. Then, after some moments we saw the same Pope entering a Church, but this Church was the Church of hell; there is no way to describe the ugliness of that place. It looked like a grey cement fortress with broken angles and windows similar to eyes; it had a beak in the roof of the building. In the Reign of John Paul II the cornerstone of Peter's grave must be removed and transferred to Fatima. Because the dogma of the faith is not kept in Rome, its authority will be removed and given to Fatima. If 69 weeks after this order is published, Rome continues its abomination, the city will be destroyed. The writing and style correspond to those observed in the writings of the true Sister Lucy in her diary, where she wrote the first three parts of the Secret as well as in other documents written by her. This has been validated by various hand writing experts. Besides, the document has the fingerprint of Sister Lucy. On the other hand, the content agrees with what is expressed by people who have personally seen the fourth part of the Secret of Fatima like Cardinals Alfredo Ottavianni, Luigi Ciappi and Silvio Oddi or archbishop Loris Capovilla. All of them mention that the content refers to the apostasy, to the schism, to the opposition between a false Pope and a legitimate one, to the fight of cardinals against cardinals and bishops against bishops, pointing out that the corruption of the faith will come from the top of the church. 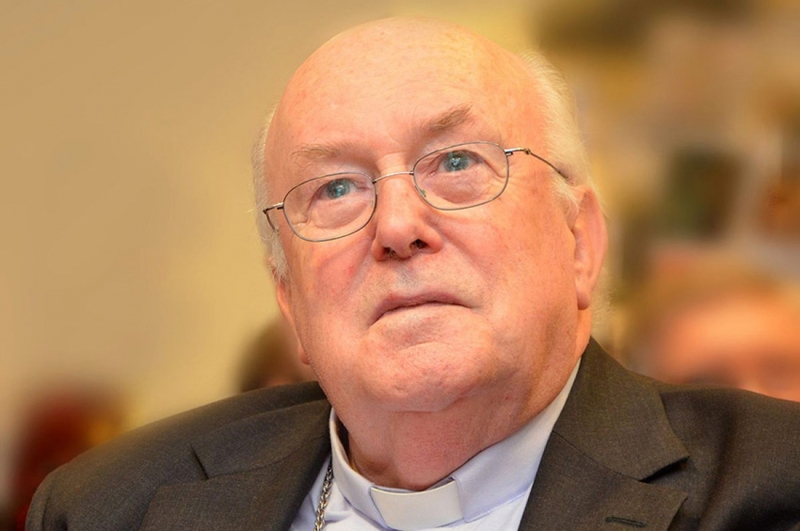 Regarding the communique of the Vatican in May of 2016 in which Pope Benedict XVI supposedly declared that the publication of the third Secret of Fatima made by Cardinal Sodano was complete, we ask ourselves, how can the Pope contradict himself? 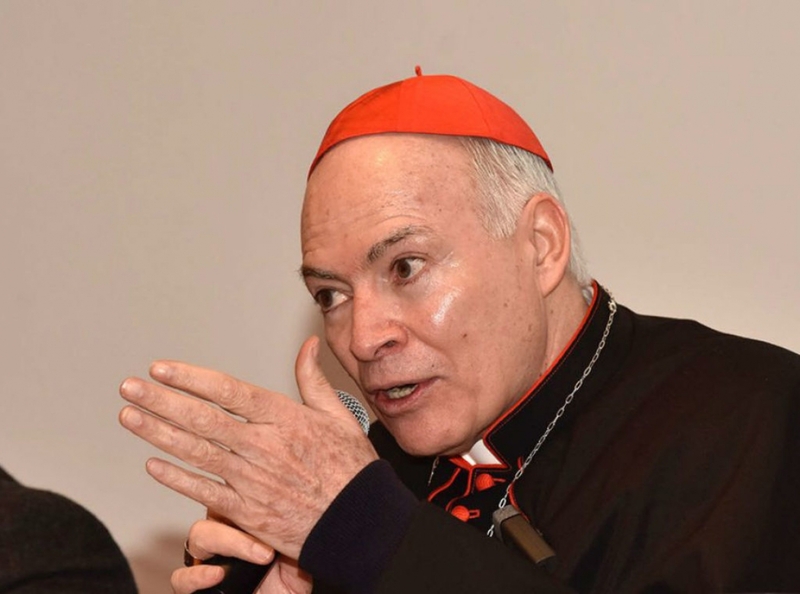 Either he lied in 2016 or he lied in 2003 and in 2010 when he declared that Sodano twisted his arm to accept a false interpretation and that the fourth part of the Secret refers to a “future event” of the church. No. The Pope didn’t lie. Without any doubt, the masonic hierarchy in the Vatican lied. They are nervous because the Secret is nearing fulfilment and of being understood.